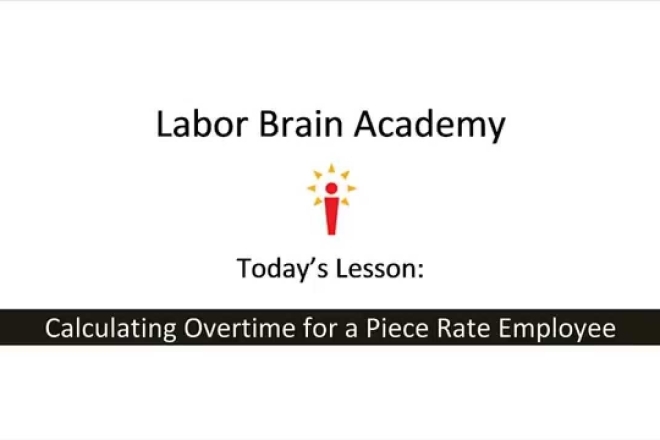 Piece Rate Overtime - The Labor Brain Inc.
Paying employees a piece rate is the easiest way to connect productivity to pay. Employers pay a set amount of pay per piece that the employee creates, sells, assembles, packs, ships, etc. Nowadays many companies pay a base rate or base salary plus bonuses or commissions but piece rate was the original pay for performance. The piece rate method of pay has become less common as many of the manufacturing jobs in the U.S. have gone overseas or technology has rendered them obsolete. However, many employers still use the piece rate method of payment. 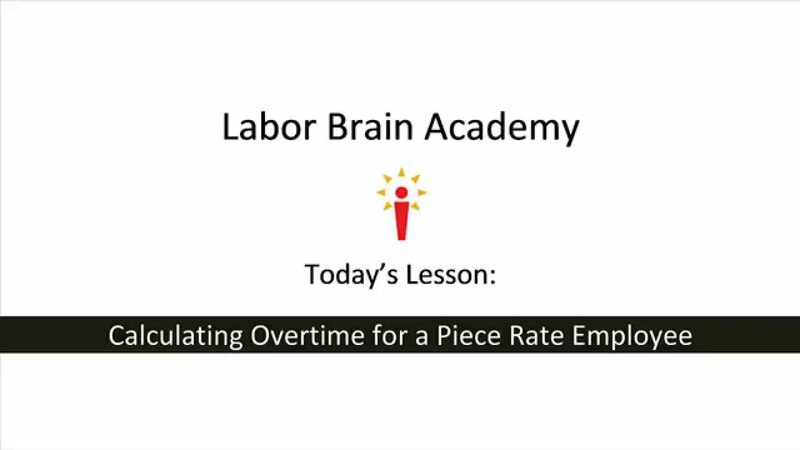 Even though paying piece rate is legal many employers get into trouble because they think that they don’t have to pay piece rate employees overtime. It bears repeating that paying someone sole commissions or salary or piece rate DOES NOT exempt them from overtime. Usually an employee’s job duties are the primary factor in determining whether or not the employee is exempt from overtime. The first method is the most widely used and considered the “normal” method of calculating piece rate overtime. John is paid $5.00 per lawnmower that he assembles. This week he assembled 108 lawnmowers and worked 48 hours. The second method is an alternative method of calculation and requires that an employee agree with his/her employer in advance of the work being performed that his/her overtime will be calculated in this manner. John is paid $5.00 per lawnmower that he assembles. This week he assembled 108 lawnmowers and worked 48 hours. He assembled 24 lawnmowers during hours 40 – 48. Obviously the amount due under the “alternative” method may be more or less than what is due under the “normal” method depending on how productive the employee is during the overtime hours. An employer cannot switch an employee back and forth between these methods of overtime calculation in order to pay the one which results in the least amount of overtime due. We hope you found this week’s tip helpful and informative. Please pass it along to anyone you think might be at risk as a result of not paying overtime to their piece rate employees. Follow us on facebook to get a weekly tip update on your news feed! Check out our YouTube video on the topic!